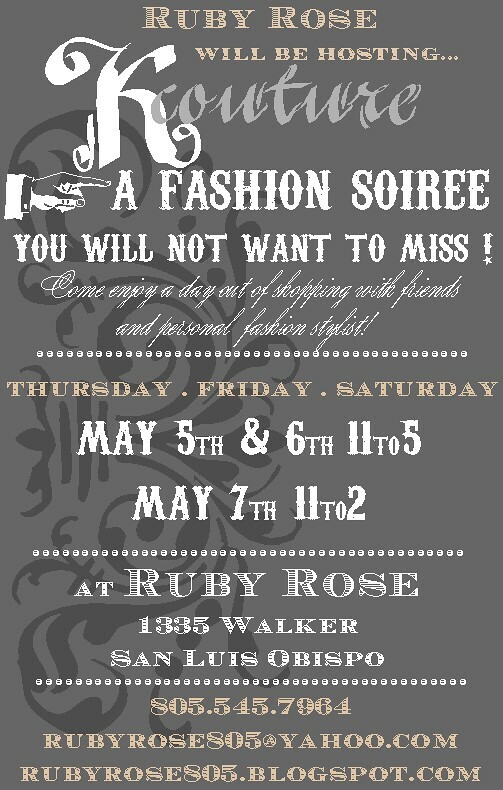 A FASHION SOIREE - - THIS WEEK AT RUBY ROSE! We are so lucky to bring this trunk show to Ruby Rose this week! 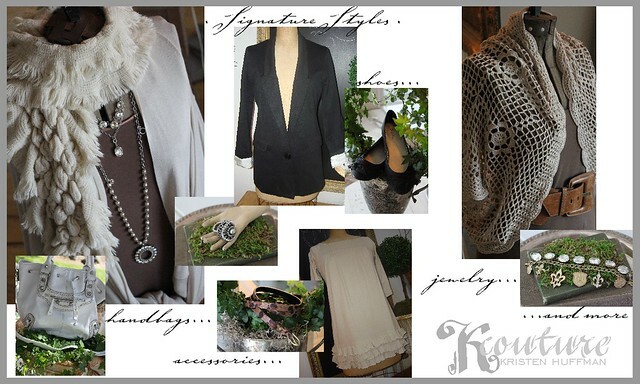 K couture will be showcasing their beautiful, comfortable, and current clothes and accessories. Come enjoy a day (or days) of shopping with friends and a personal stylist. If you haven't gotten a Mother's Day gift yet, there will be plenty of options for you at this trunk show. Also, on Thursday the 5th, we will be celebrating Cinco de Mayo with lunch at 12! See you then!